I would not be here if it weren’t for two things: exposure and opportunity. As a child, being exposed to science and engineering was instrumental in terms of opening my eyes to the various career opportunities out there. Early on, kids learn about teachers, fire fighters, police officers, and doctors, and that’s what they’re exposed to. While these are all extremely important and rewarding careers, it’s important for kids to see and understand role models of all demographics so that they can easily picture themselves in positions beyond just the few professions that are abundantly represented. Having said that, I also wouldn’t be here if I didn’t have the opportunity to explore different career paths until I found the right fit. So for people out there still trying to figure things out, don’t be afraid to try different things to find the best application of your skills and passion. 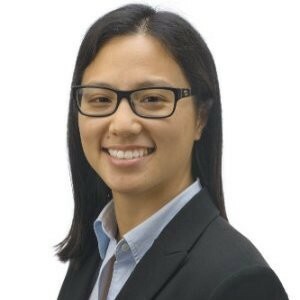 As part of my series about the women leading the Artificial Intelligence industry, I had the pleasure of interviewing Doris Yang, senior director of product management at BlackBerry Cylance. 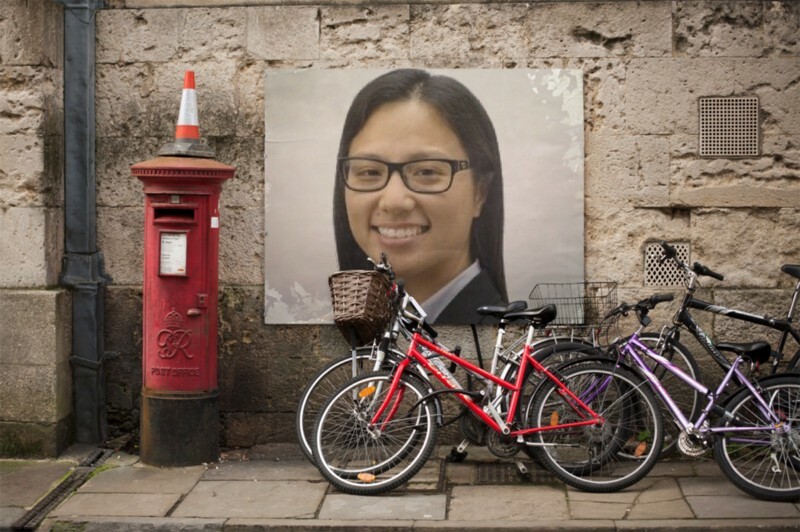 Prior to Cylance, Doris held senior product management and engineering positions at Vectra Networks, Palo Alto Networks, and Symantec. She graduated from the University of California, Los Angeles with a bachelor’s degree in computer science and engineering. My dad is a mechanical engineer who worked in the aerospace industry. Growing up, I had a lot of exposure to science and engineering and I have many fond memories of my dad tinkering with things around the house. In fact, his company hosted an annual Family Open House, which was just the coolest thing for a kid to experience — not just because it was a sneak peek into what my dad did during the day, but because it instilled in me a profound sense of wonder and imagination. What ideas are people dreaming of? What are the obstacles and hurdles in the way? How do we go about solving them? These types of questions are essentially the basis of engineering. After graduating from college with a degree in engineering, I was trying to figure out how to apply my skills to do something meaningful. While working at my first company, my team had some vacancies that allowed me to step into some different roles, one of which was product management. It wasn’t long until I realized that I had found what I wanted to do. I discovered that product management gave me the opportunity to not only work on interesting projects, but it afforded me the opportunity to answer, “Why are we doing this?” and, “What are the problems that need solving?” Being able to identify meaningful problems, work directly with Engineering to develop impactful solutions, and work with Marketing and Sales to communicate and deliver those solutions has been extremely rewarding. Product management in the security industry has been a really great experience, as it is an industry that is constantly evolving so there’s no shortage of problems that need solving. I would not be here if it weren’t for two things: exposure and opportunity. As a child, being exposed to science and engineering was instrumental in terms of opening my eyes to the various career opportunities out there. Early on, kids learn about teachers, fire fighters, police officers, and doctors, and that’s what they’re exposed to. While these are all extremely important and rewarding careers, it’s important for kids to see and understand role models of all demographics so that they can easily picture themselves in positions beyond just the few professions that are abundantly represented. Having said that, I also wouldn’t be here if I didn’t have the opportunity to explore different career paths until I found the right fit. So for people out there still trying to figure things out, don’t be afraid to try different things to find the best application of your skills and passion. At BlackBerry Cylance, we pride ourselves in our ability to effectively use native artificial intelligence to address the age-old problem of detecting and preventing malware on endpoints — whether on laptops, desktops, or servers. It’s been a really great experience disrupting an established industry with new technology and a more effective way of doing things. As a product manager, you’re always looking for new problems to solve and the ability to make a positive impact for customers, so the potential here has been very exciting. I was very fortunate to have a manager early in my career that put me in positions of high visibility and created opportunities where my voice could be heard. When you’re first starting out in the workplace, there’s a natural inclination to put your head down, do your job, and hope that career growth comes naturally. As a young female professional, there’s an even stronger inclination to stay in the background, not ruffle feathers, and hope that your work speaks for itself. Thankfully, I had a boss who saw potential in me and started to assign me responsibilities that exposed me to people outside of our team, and honestly gave me a voice in different corporate settings. Something as seemingly trivial as bringing me in as an observer to a presentation he was giving, or stopping to ask me for my opinion in a group setting with upper management, gave me the exposure and confidence I needed to operate at a higher level. That exposure not only helped me to better understand how the business and company operated, but it helped others realize who I was and what I could contribute. Both of those things played a part in accelerating my career because they created opportunities that would have otherwise taken longer to emerge, if they emerged at all. When my boss tasked me with presenting or pitching to upper management, he would also coach me on how to prepare by anticipating possible questions, how to think like a manager and understand their motivations, and how to structure my presentation appropriately. In other words, he didn’t just present me with opportunities, but really tried to set me up for success. Ultimately, it all comes down to having a voice that is heard and having a platform and the opportunities to succeed. So many people, women especially, aren’t as fortunate and don’t get the opportunity to shine. And some, when given the opportunity, don’t have an audience that is willing to listen. I was extremely fortunate to have someone who created the right environment to help me succeed and accelerate my career. 1. More effective (and lower cost) decision making — Human decisions are based on the ability to identify correlations and draw conclusions from them. With AI, you can not only process more data in a shorter period of time, but machine learning can help identify patterns and features that lead to predictive analysis but that might remain unknown or beyond our imaginations without it. 2. Quality of life improvements — The use of AI has permeated solutions for everyday life, from driving assistance to home services and more. I think we’ll see more advanced AI-assisted tools in various areas that will significantly reduce the amount of time spent on everyday tasks (like grocery shopping, dealing with customer service, planning vacations, or medical diagnosis). The time saved will hopefully allow us to spend more time on developing and enriching human and social interactions. 3. Finding correlations beyond our imaginations — When trying to find answers based on the correlation of data, we are often limited by our imagination and/or long processes of trial and error. A good example of this is in the medical field, where early and accurate diagnosis can be difficult because doctors don’t always know exactly what’s happening (or perhaps cannot predict how serious or aggressive an illness is). As a result, many treatments are often more aggressive than necessary, because the alternative scenario is much worse, as in the case of some cancer treatments. AI can hopefully help aid medical professionals as they diagnose and predict outcomes by using machine learning algorithms to analyze all diagnostic data, and not just those that a human can consciously process or think to look for. 4. Accessibility to services — AI can help even the playing field by providing easier access to services that previously have relied heavily on human staffing (e.g. personal assistants, concierges, accountants, financial advisers, and so on). In theory, this will hopefully provide more opportunities to traditionally under-served demographics. 5. Personalized learning or contextual data presentation — Regardless of age or subject matter, the way individuals absorb information is unique. In the classroom, we have a one-size-fits-all education approach; in solutions, we tend to cater data presentation (dashboards, reports) to the needs of the majority. With AI, however, we can potentially create personalized experiences, either by using models to adapt curricula in real-time based on individual comprehension abilities or by automatically adapting data presentations based on the needs of an individual. In either case, the presentation of information adapts based on individual need and comprehension level. 1. Governance of data and individuality — AI will undoubtedly be used to create profiles of who we are, how we operate, and what we want. But who will own this information? Individuals? Corporations? Governments? What does identity mean and who owns it? 2. Choice — Do we, as individuals, have a choice in whether or not such profiles are created, or who has access to them, or how they are used? We need a global standard to ensure at least minimum protections are in place regardless of geographic borders. 3. Transparency and security of data usage — There needs to be utmost transparency with regard to the type of data that is collected and when and how it is being used. 4. Responsibility — As a society, we need to be conscious of how data is being used and the conclusions that are being drawn from it. While there are many benefits to knowing more about ourselves, we must have a conversation about the limits of data and what is an invasion of privacy. 5. Reliance — At the end of the day, humans are cognitive beings. AI is a powerful tool that can help aid in the human decision-making process and contribute to the progress of humankind, but it is ultimately still up to us, as individuals, to decide what to do with that information. We still need to know how to make decisions ourselves, independently of machines. As you know, there is an ongoing debate between prominent scientists, (personified as a debate between Elon Musk and Mark Zuckerberg) about whether advanced AI has the future potential to pose a danger to humanity. What is your position about this? The current state of AI relies on humans to define the boundaries of the questions and answers we’re looking for and the data needed to process them; robots are not going to take over the world tomorrow. That said, regardless of how long it will take for sentient robots to be even a possibility, sitting down as a society to talk about the responsible usage and application of AI is absolutely important. Even today, without Terminators running around, there’s already the question of privacy and transparency (as above, regarding what personal data is collected, what is it used for, and who has access to it). There are many immediate benefits of AI-driven solutions, but we should also be actively thinking about responsible governance so that we can continue to benefit from them without giving up more of our freedoms. I don’t want to say there’s absolutely nothing to worry about because that would promote complacency. We need to start laying the groundwork now for what our basic boundaries are and remain vigilant that technologies and other entities don’t encroach upon them. Sentient robots aren’t the only cause for concern. As a start, people should be thinking about privacy and security. Simple things like being able to predict what a person likes, what they’re inclined to do, and how they will respond have great applications in terms of AI-driven assistants, shopping recommendations, marketing campaigns, and the like. But what happens when the wrong people get access to that information? Should banks be able to reject you for a loan based on something you might do? Should the government be able to create and maintain profiles on its citizens and rank them according to probabilities or likely outcomes ? I’ve had the privilege to mentor some students and young professionals over the years, but this is definitely something I wish I did more of. I want to help more people succeed. There are plenty of smart and capable people out there, but not everyone has the support and opportunities that I’ve had. If I can help someone feel empowered and confident, if I can help provide them with some support and advice on how to identify and seize opportunities, it would just be a tiny way of paying back the good fortune I’ve had. 1. Don’t be afraid to speak up. If you have an opinion about something, if you have an idea, don’t just wait for someone to ask you. Speak up, present your best case, and be your own advocate. You don’t need permission to have an opinion or an idea. 2. Don’t be afraid to trust your instincts. Have confidence in your experience and skills. If you doubt yourself, so will others. 3. Seek out mentors that will give you advice and support you. Mentors are not only great for seeking advice and support, but they can also help you network and present opportunities. Generally speaking, we need to have more gender balance and make women in technology a normal thing. The more that young children see and hear about a balanced representation in the workplace — especially in leadership positions — the more they will aspire to them. We can encourage more young girls to pursue careers in STEM by having more role models in those positions, and we can foster healthier work environments by showing all children how to work and thrive together in balanced gender settings. When I was young, during a viewing of Sound of Music, my mom paused the movie during the “Climb Every Mountain” scene to emphasize it as a life lesson. Besides being a funny story to tell about my mom, it is something that ended up sticking with me. There will be plenty of obstacles in your life, standing between you and what you want, and it’s up to you to decide how to go forth. Are you going to let a challenge prevent you from achieving your goals, or are you going to find a way to overcome it? Whether it’s the metaphorical blood, sweat, and tears involved with startups or just the everyday challenges of life, “Climb Every Mountain” has become a good mantra to keep us from getting overwhelmed by what gets thrown at us. No matter how tall or rocky the obstruction: just keep at it, one step at a time, until you attain your goal. In our current climate, it’s more important than ever to learn how to actively listen and understand, even when you may disagree with someone else. Communication (which includes listening) and empathy are two important skills that carry over in both personal and business settings, so this is something that we could all use a refresher course on. I’m not actually very active on social media, but you can find me on LinkedIn.